Upon seeing the print below, it should be pretty clear to just about everybody that Houston-based artist (and blogger) Lizzy House is a big Nintendo fan. After all, out of the 26 images that appear in the following alphabet print, three of them (L, N and Z) are related to the company that's best known for introducing Link, Mario and Pokemon to the world. 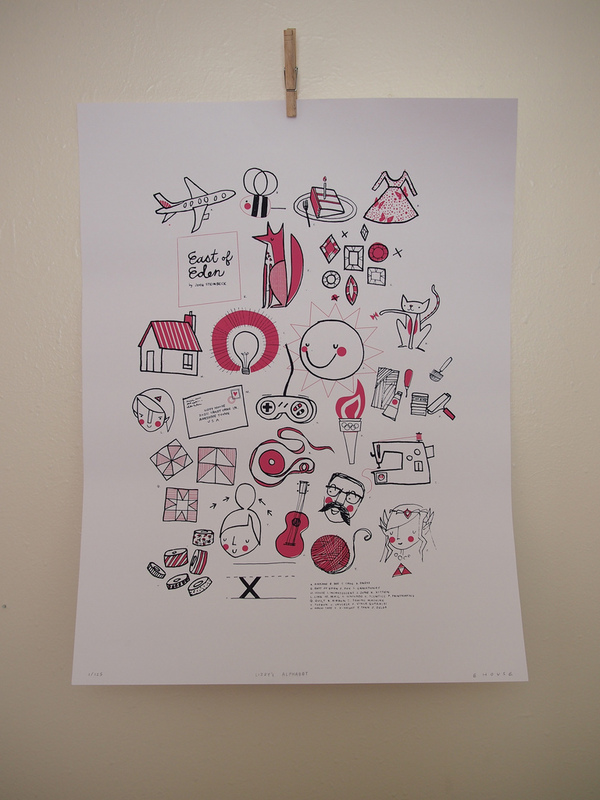 House is selling a limited number (125) of these prints via her etsy shop for $50 apiece (plus shipping). 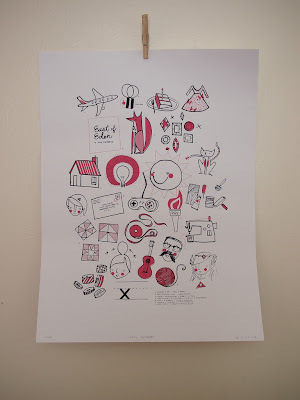 Each one is 18 inches by 24 inches and is printed on archival paper. To see more examples of House's abilities, check out her blog, her etsy shop or her Flickr photostream. Ohhh not bad. Good think my cousins live in Huston. I agree, Justin. Some of them are a little confusing -- I and J especially. BTW, if you look at the largest version of these photo on Flickr, you'll notice that she placed a "cheat sheet" of sorts in the lower-right corner of the print.